Who, or what, brought down Nixon? The easy, but wrong, answer to the question of who or what brought down Richard Nixon’s corrupt presidency in the Watergate scandal is: Bob Woodward and Carl Bernstein of the Washington Post. As I point out in my latest book, Getting It Wrong, that interpretation has become “ready short-hand for understanding Watergate and its denouement, a proxy for grasping the scandal’s essence while avoiding its forbidding complexity. It’s also a prominent media-driven myth–a well-known but dubious or improbable tale about the news media that masquerades as factual. What I call the heroic-journalist interpretation of Watergate offers a convenient, accessible, easy-to-grasp version of what was a sprawling and intricate scandal. Britain’s Spectator magazine takes up the Watergate question in an article about fallout from the phone-hacking scandal that has swept up Rupert Murdoch’s London tabloid, the Sunday News of the World. While commendable in eschewing the mythical heroic-journalist interpretation, the Spectator commentary overstated the importance of the Senate select committee on Watergate, which was chaired by Sam Ervin of North Carolina and took testimony during the spring and summer of 1973. Rather than destroying Nixon’s presidency, the select committee had the effect of training public attention on the crimes of Watergate and, in the testimony it elicited, offered a way to determine whether Nixon had a guilty role in the scandal. The select committee’s signal contribution to unraveling Watergate came in producing the revelation that Nixon had secretly tape-recorded conversations with top aides in the Oval Office of the White House. They constituted Nixon’s “deepest secret,” Stanley Kutler, Watergate’s leading historian, has written. The revelation about their existence set off a year-long effort to force Nixon to turn over the tapes, as they promised to clear or implicate him in the scandal. Nixon resisted surrendering the tapes until compelled by the U.S. Supreme Court, in a unanimous decision in July 1974. The tapes revealed his guilty role in seeking to block the FBI investigation of the Watergate’s seminal crime, the breakin in June 1972 at the offices of the Democratic national committee in Washington. 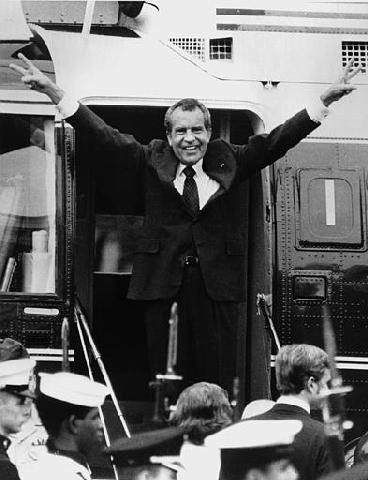 Nixon resigned in August 1974. In the final analysis, then, who or what brought down Richard Nixon? Certainly not Woodward and Bernstein. Not the Senate select committee, either. The best answer is that rolling up a scandal of the dimension and complexity of Watergate “required the collective if not always the coordinated forces of special prosecutors, federal judges, both houses of Congress, the Supreme Court, as well as the Justice Department and the FBI,” as I write in Getting It Wrong. “Even then,” I add, “Nixon likely would have served out his term if not for the audiotape recordings he secretly made of most conversations in the Oval Office of the White House. Only when compelled by the Supreme Court did Nixon surrender those recordings,” making inevitable the early end of his presidency. WaPo ‘didn’t like Nixon’ and that’s ‘how we got Watergate’: Huh?